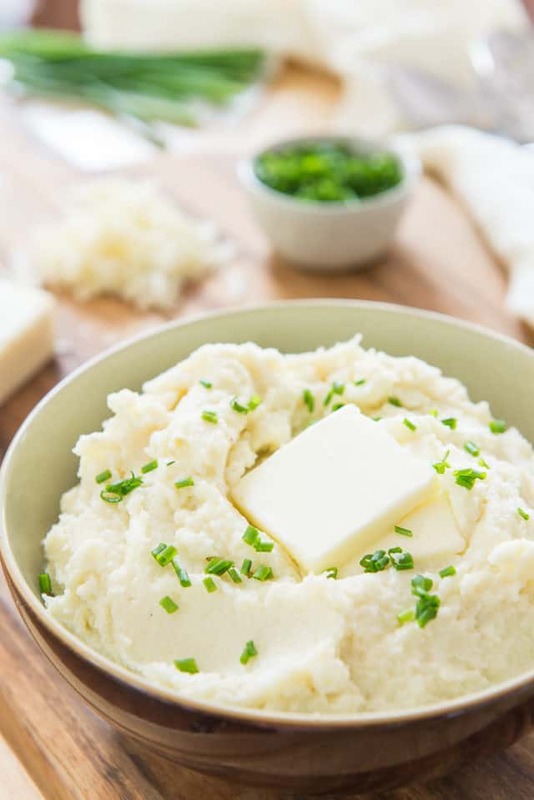 These Cauliflower Mashed Potatoes are a creamy vegetable side that’s easy to prepare, with less carbs than your usual mashed potatoes, but just as smooth and creamy! 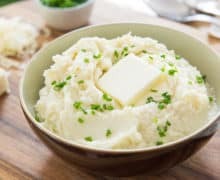 I’m always a little suspicious of lighter recipes that are substitutions of classics, but mashed cauliflower is legitimately delicious. The first time I made it, I was trying to recreate the cauliflower puree I so often had at fancy restaurants. They always tasted similar to mashed potatoes, but with a silkier and lighter texture, plus more flavor. 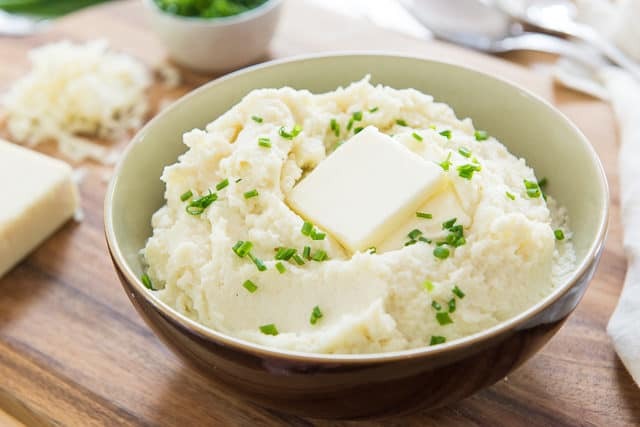 The beauty of mashed cauliflower is that you can try tons of different flavor variations, just as you would with mashed potatoes. You can add garlic, butter, cheese, chives, scallions, and more. Because we will be squeezing a lot of the water out of the cauliflower, you will need more cauliflower than you think. Then steam or boil the cauliflower until fork tender. I do this in my instant pot, but you can steam in a pan, in the microwave, etc. Sometimes when I’m impatient, I’ll just twist the bottom using tongs. It’s very hot, so don’t touch with bare hands! Also, don’t skip this step! I’ve tried other methods for getting rid of excess water, even pressing the cauliflower through a strainer, and it’s not enough. You really need the towel. But really, you can do any sort of flavorings you want to. Mix it all by hand, and enjoy a chunkier mashed cauliflower. 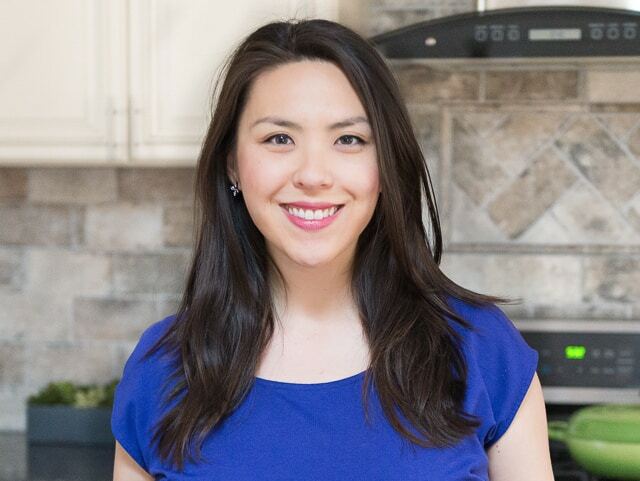 Transfer the ingredients to a food processor, and mix until smooth. This is a great side for Beef Wellington, Roasted Pork Tenderloin, and other meat entrees. I also love making Cauliflower Rice, either plain or this Cilantro Lime Cauliflower Rice. Enjoy! Can you make Cauliflower Mashed Potatoes without a food processor? Yes, so long as you’re okay with a chunkier texture, you can mash everything by hand. 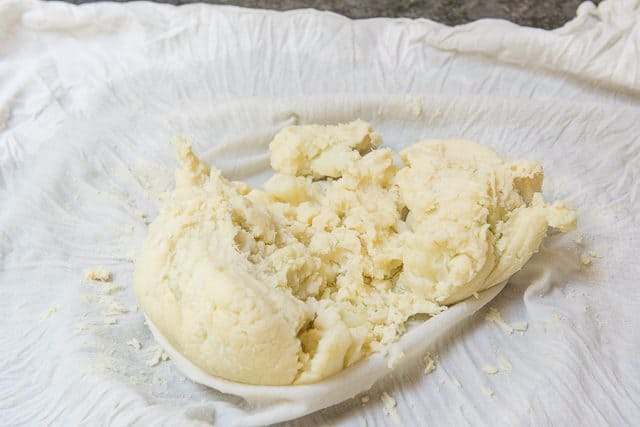 Can Cauliflower Mashed Potatoes be frozen? Eh, kind of. I find the texture to be so much worse that I don’t bother, but it’s definitely edible. Can you make Mashed Cauliflower ahead of time? Yes, just simply rewarm in the oven or microwave to serve again. The only downside is that I think that cauliflower is always a bit smellier once it has been refrigerated as leftovers. 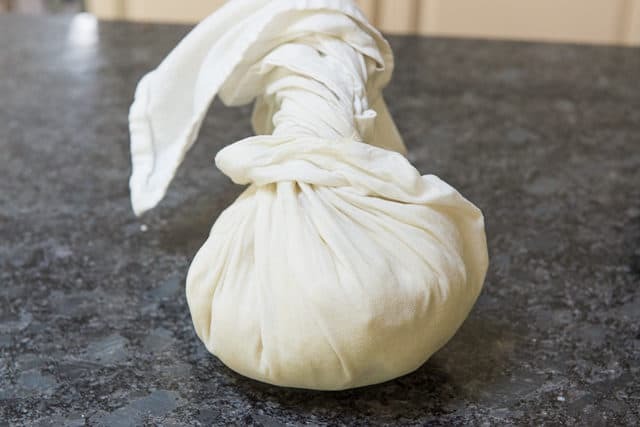 If you have issues with the cauliflower being too watery, this means you need to squeeze the cauliflower a little better with the towel next time. I’ve tested it without the towel, just pressing as much water out as possible through a strainer, and it wasn’t good enough. The towel is important! 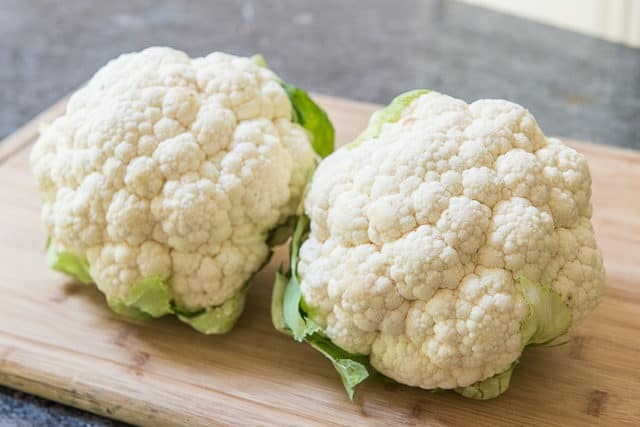 Cut the cauliflower heads down into florets, then steam or boil for about 8-10 minutes, until completely fork tender and soft. 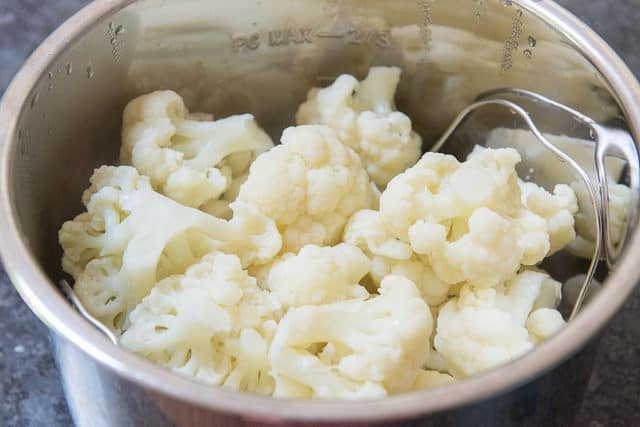 You can also cook the florets in an Instant Pot, by adding 1/2 cup of water to the bottom, and placing the cauliflower florets on the steamer insert. Using low pressure, steam for 8 minutes. 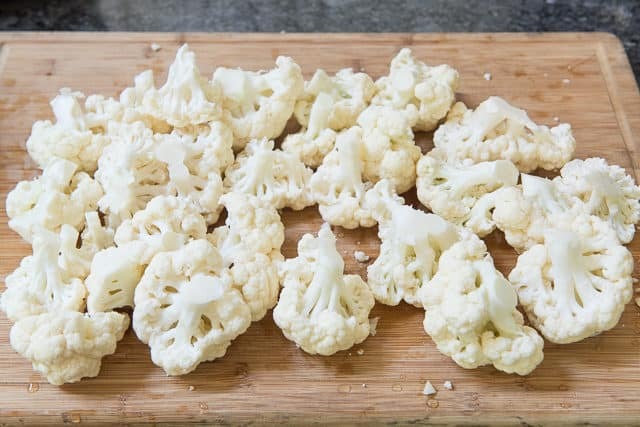 Let the cauliflower drain and cool, then squeeze in a kitchen towel to remove the majority of the water in the cauliflower. If you're in a hurry, I've had success with using tongs or rubber gloves to squeeze the cauliflower while it's still hot, just don't use your bare hands! 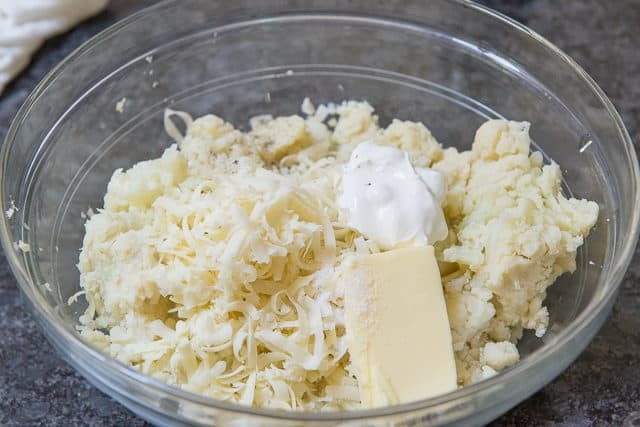 For a chunkier cauliflower mash, mix the cauliflower with the remaining ingredients by hand. 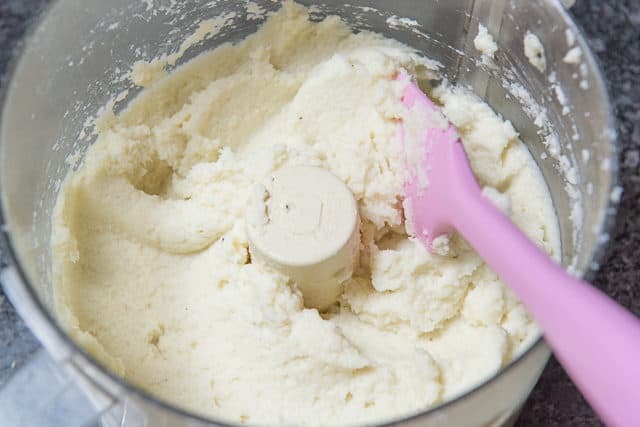 For a smoother texture, puree the squeezed cauliflower in a food processor with everything but the chives, for about one minutes, until smooth. Mix in the chives if desired, or simply sprinkle on top to garnish. Enjoy! *Weighing about 4 pounds in total, before trimming the stems. Post updated with new photos, writing, and tips in September 2018. Originally published April 2013. This post contains affiliate links. So easy and healthy. Love cauliflower! Delicious! We usually add one potato to ours to give it just a hint of real mashed potatoes! Thank you for sharing! This recipe is awesome!